Previous studies of the relationship between perceptions and/or evaluations of the learning environment and approaches to study have either not included measures of students' learning outcomes, or have included quantitative differences and not qualitative differences in learning outcomes. 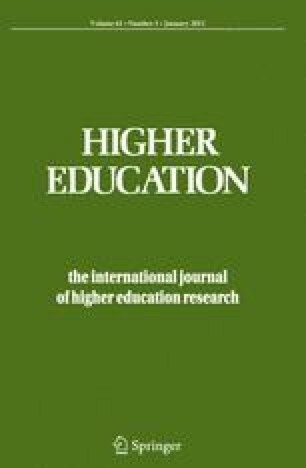 The studies reported in this paper focus on the relationship between qualitative differences in learning outcomes, perceptions/evaluations of the learning environment and approaches to study. The results support previous research in identifying relationships between perceptions/evaluations of the learning environment and approach to study and between approach to study and the quality of the learning outcomes. The second of the two studies reported also identifies a relationship between perceptions, approaches and the quality of the outcomes. The results suggest that perceived environments which encourage deep approaches are more likely to facilitate higher quality learning than environments designed to discourage surface approaches.